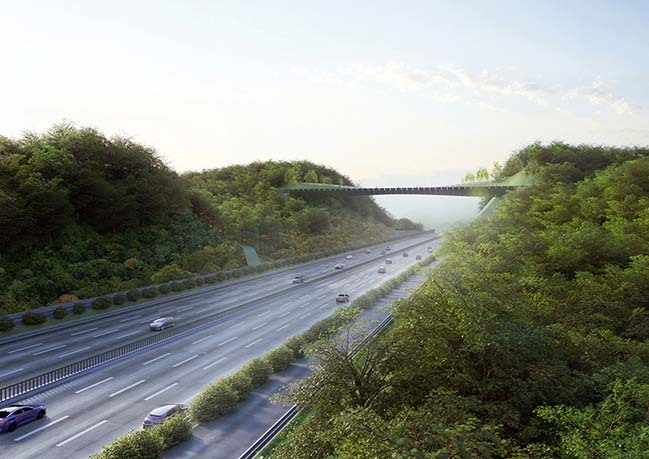 The 1st prize of the Yangjaegogae Eco Bridge Design Competition is a concept design by KILD Architects for a structure to be installed across the upper part of the Gyeongbu Expressway, and a green area to be created on the top of the installed structure to connect the green areas on either side of the existing highway to allow citizens and animals to move across the highway through the green area on the top of the structure. 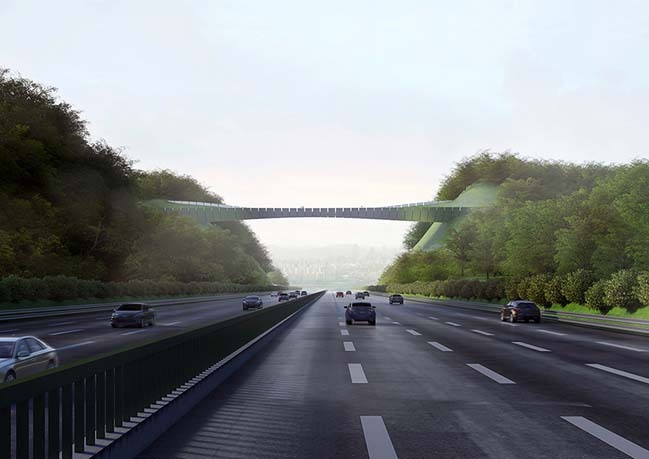 From the architects: Our Eco Bridge proposal is based on a simple and pure concept: to recreate the link that once existed in the current situation of the infrastructural void with a spatial structure that would be atmospherically reminiscent to a pictorial passage through the southern slopes of the two discontinued mountain peaks of Mt. Umyeon and Maljukgeori Parks. 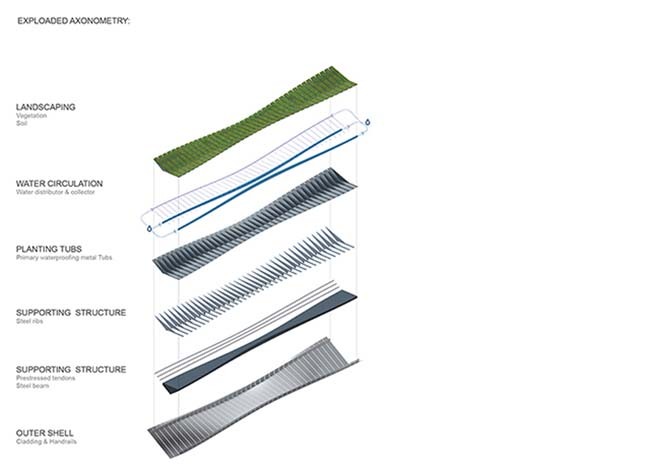 The proposal is inspired by the naturally green integrity of mountain peaks – the inherent part of Mt. 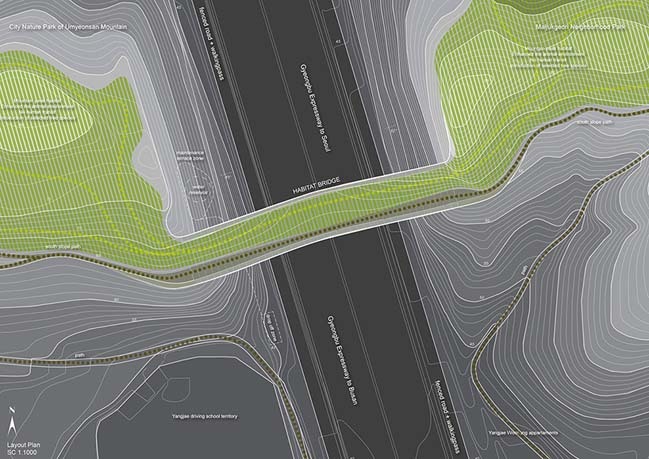 Umyeon and Maljukgeori Parks and the landscape experience of the accompanying side slope paths. 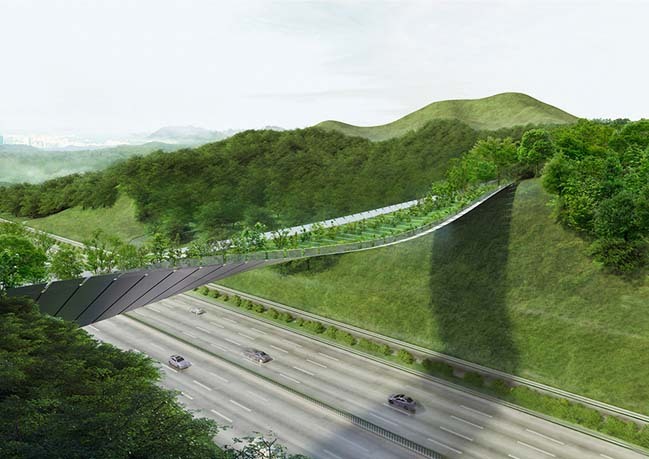 The landscape of the bridge is referential to the natural, informal, simplistic and unforced nature of Korean gardens. The architectural language of the structure of the intervention is tender to the rhythmic nature of the traditional Korean garden pavilions traditionally used to invite for the enjoyment of the surrounding garden sceneries. The path for human passage. 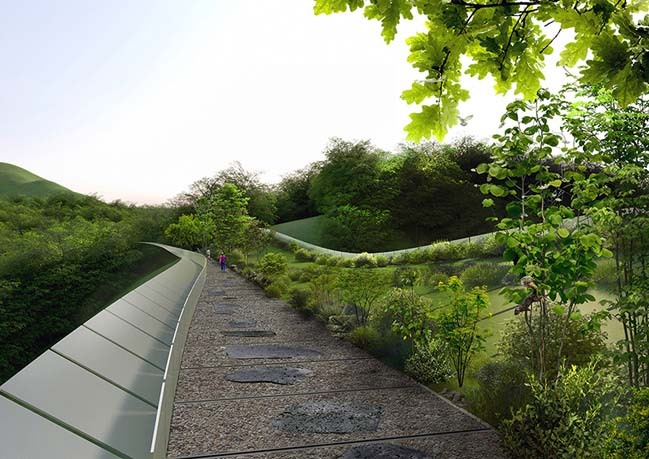 Continuation of the existing mountain slope surface with the help of bridge that is extending the spatial experience of walking the path near a slope. Sided on the two discontinued south slopes, the one-sided link as space is therefore less windy and mostly sunlit, which follows a naturally dualistic spatial experience of walking on the side of the mountain - one of the panoramas and one of the close-ups of the hillside landscape. Only the midpoint of the bridge stays open toward the spectacular panoramic view of Seoul on the north. A landscape for animal transit. 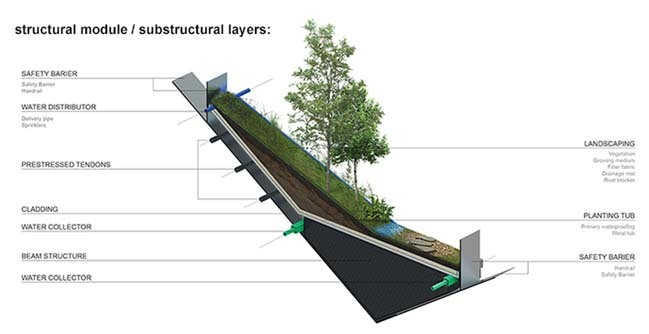 Mountain peak habitat formation on the both access zones of the habitat bridge by keeping upper parts of the two linked mountain peaks uninterrupted by people for the priority of the animals and the continuation of this elevated privilege with the help of the structurally formed slope on the bridge part of the new Eco-Structure.